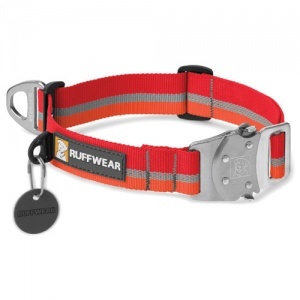 The best selling Ruffwear Top Rope dog collar is strong, reliable and comfortable. 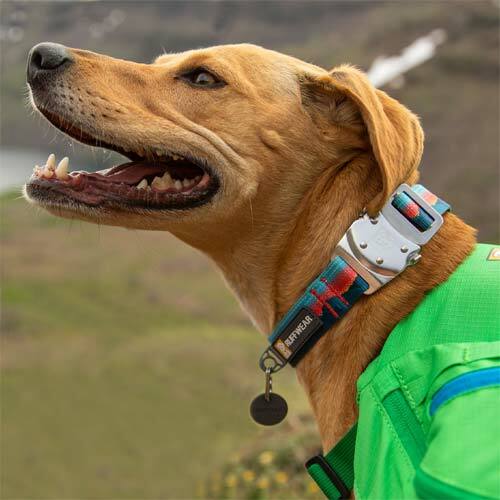 It also features a D-ring which can be positioned at the top of the collar for easier access. The Ruffwear-designed all-metal side-release Talon Buckle is like a seatbelt style buckle which also provides ballast to keep the V-ring on the top for easier lead attachment. 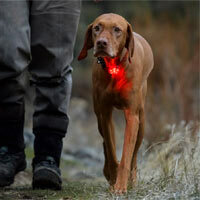 This is a fantastic idea and one that will be understood by all dog owners searching for the D-ring under their dog's neck. 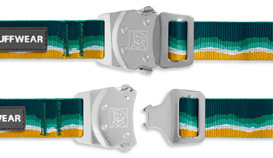 The Tubelok webbing incorporates a reflective trim for visibility in low light conditions. A single-piece, anodized aluminium V-ring provides a secure lead attachment point. There is also a separate silicone ID tag attachment for reduced tag jingle and the handy Quick Ring allows you to take ID tags on and off the collar with no fuss. 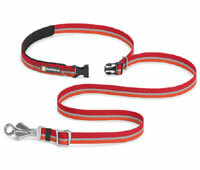 Measure around your dog's neck where the collar would comfortably sit. 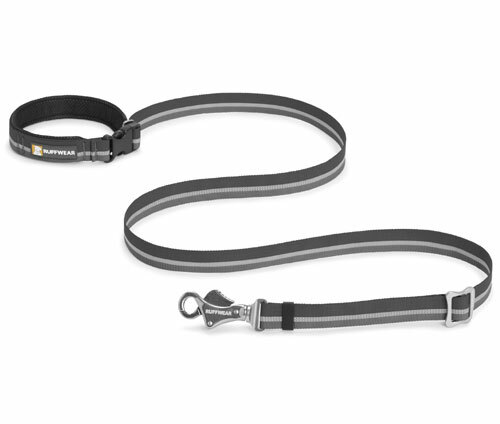 The matching Slackline Lead with adjustable 3.5 to 6ft length can also be purchased separately if you would like the complete set. Red/orange colour looks fantastic on my black Standard Poodle. Nice lightweight with good sturdy fastenings and yes the lead attachment ring does stay at the back of the neck which is a bonus when you have a long eared dog. A bit expensive but good quality and looks like it will last and stay looking smart. Goes nice with the red lettering on the 'I've been chipped' identity disc purchased at the same time.